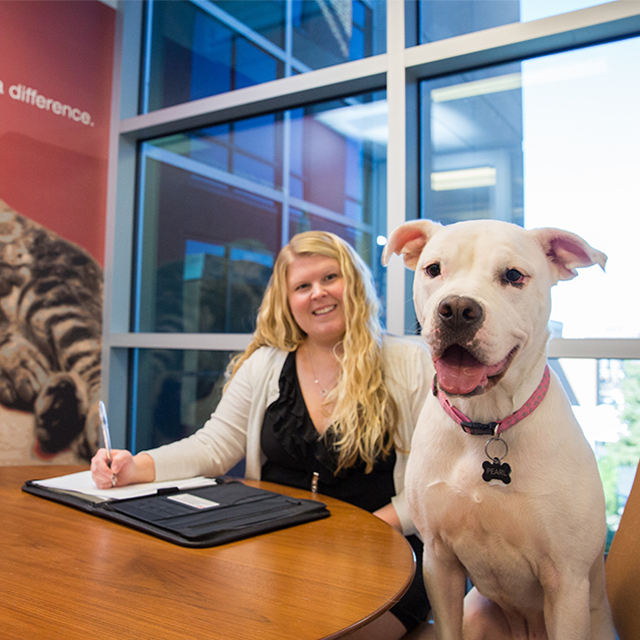 Nestlé Purina Careers came to us years ago for help executing a social campaign. The successful results kicked-off what has become a long-standing relationship. 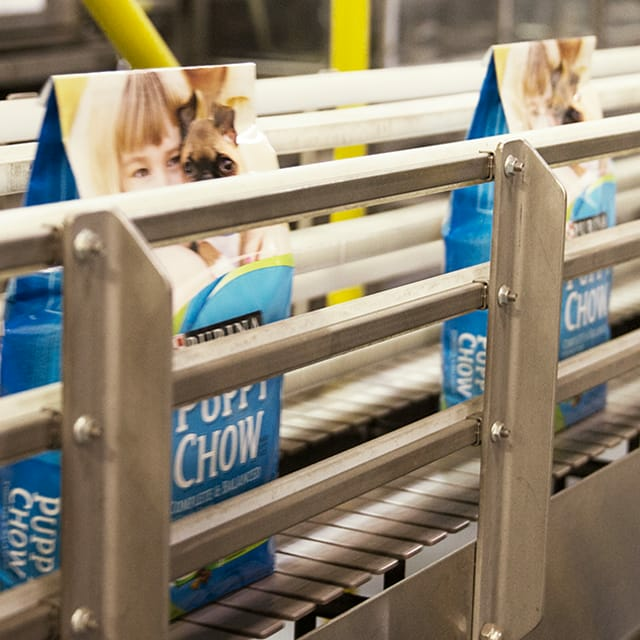 Since then, we have partnered with their hiring experts to leverage their employee value proposition to develop both internal and external messaging strategies. From social campaigns and social listening, to print collateral, posters, signage, identity systems, photography, and most recently their website redesign and development, we’ve helped them create an employment brand that attracts top talent and communicates their core message, “We Stand Taller”. We overhauled the website in terms of both content organization and from an aesthetic perspective. 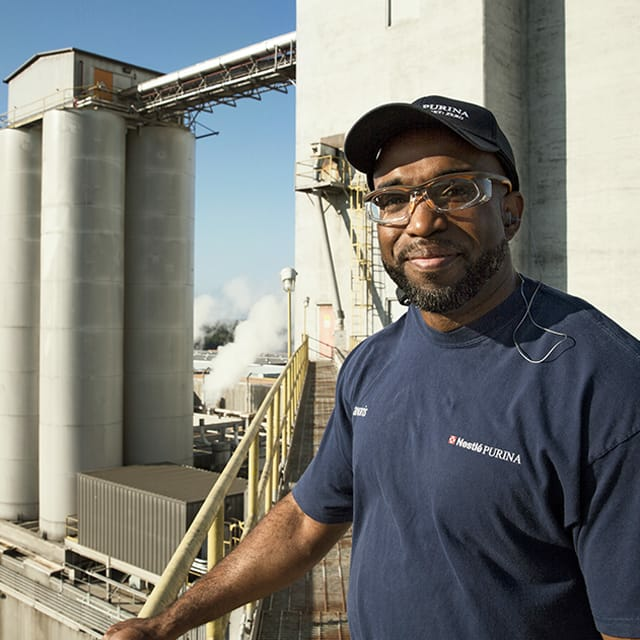 Large, full-width imagery was used to showcase their people and core values. 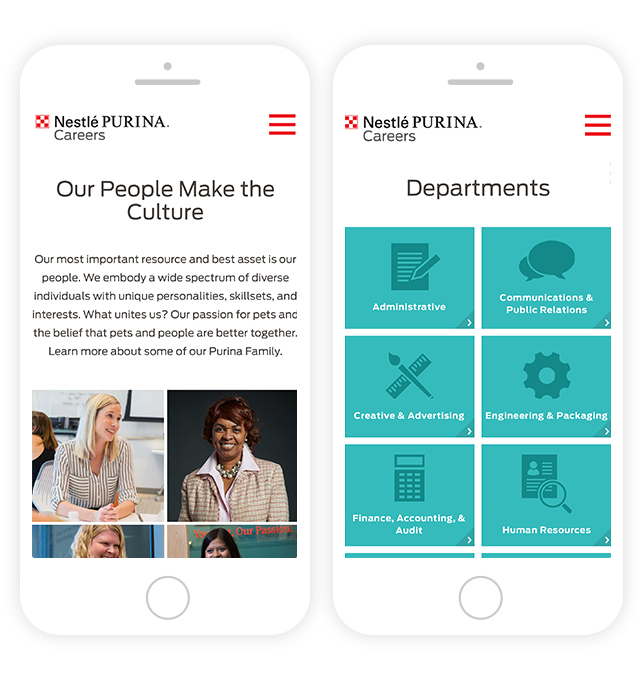 With juxtaposing quotes, imagery, and copy, we developed a collage-style layout that communicates why Nestlé Purina is a great place to work and visually reflects their iconic checkerboard mark. We researched and strategized the best way to organize the various job opportunities available. Keeping the design clean and simple, we used iconography to help categorize positions into high level ‘departments’. This helped to streamline the candidate experience and make it easy for potential candidates to find the right position– no matter what device they are on.